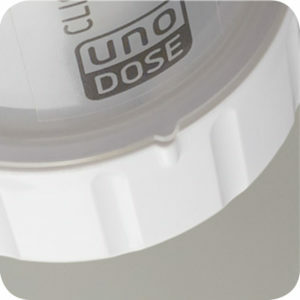 A variety of advanced design innovations makes the UnoDose Applicator extremely easy to use, store and know when to reorder. 1. 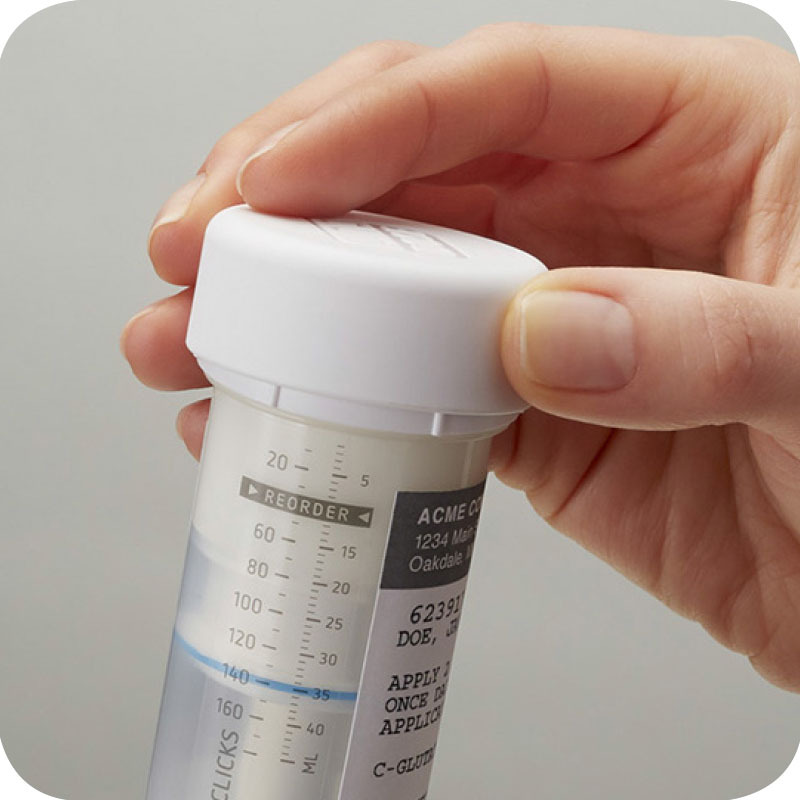 Remove the protective cover with a light counterclockwise twist and pull while holding the barrel. 2. 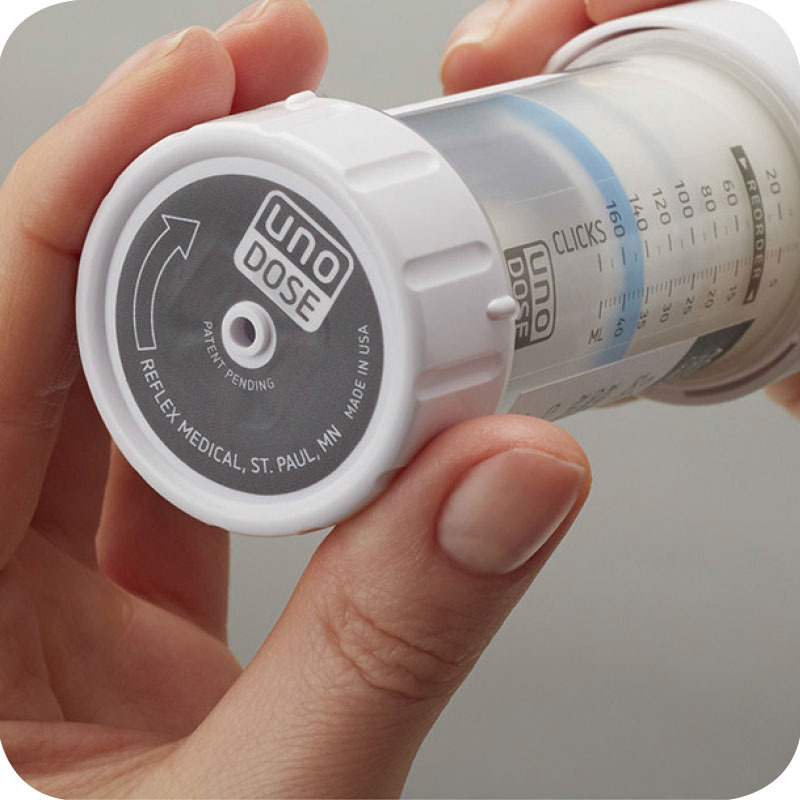 Turn the dosing knob in the direction marked for the number of prescribed clicks. 3. Confirm that cream has exited the holes of the applicator cap. 4. Apply the cream to the skin absorption site. 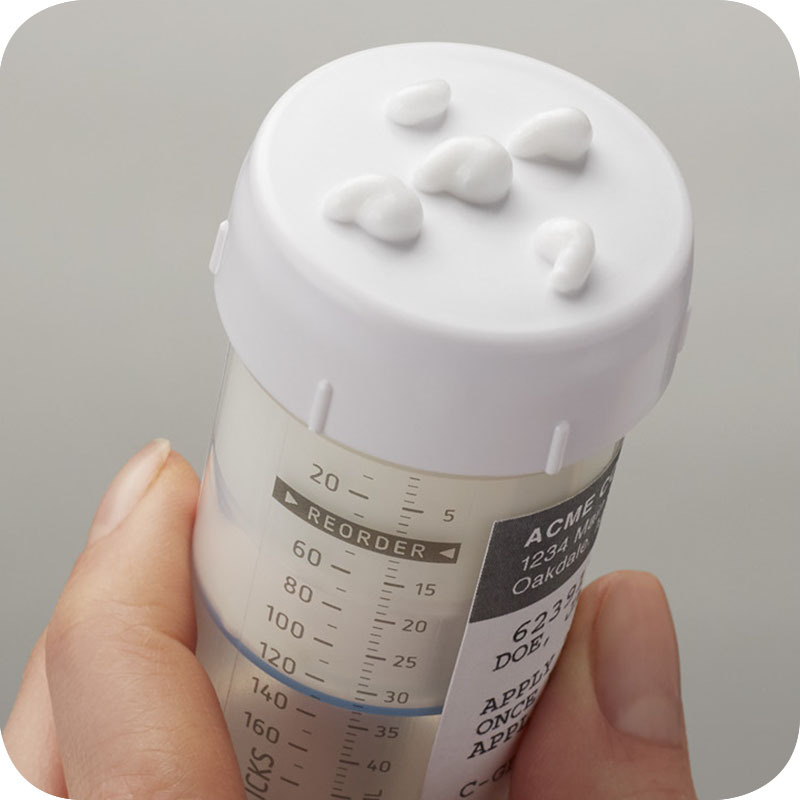 Rub with the applicator cap until the cream is evenly spread (per physican or pharmacist direction). Replace the protective cover with a light push and clockwise turn. You will hear and feel a click. 5. Check the scale at the blue line for the number of clicks remaining. 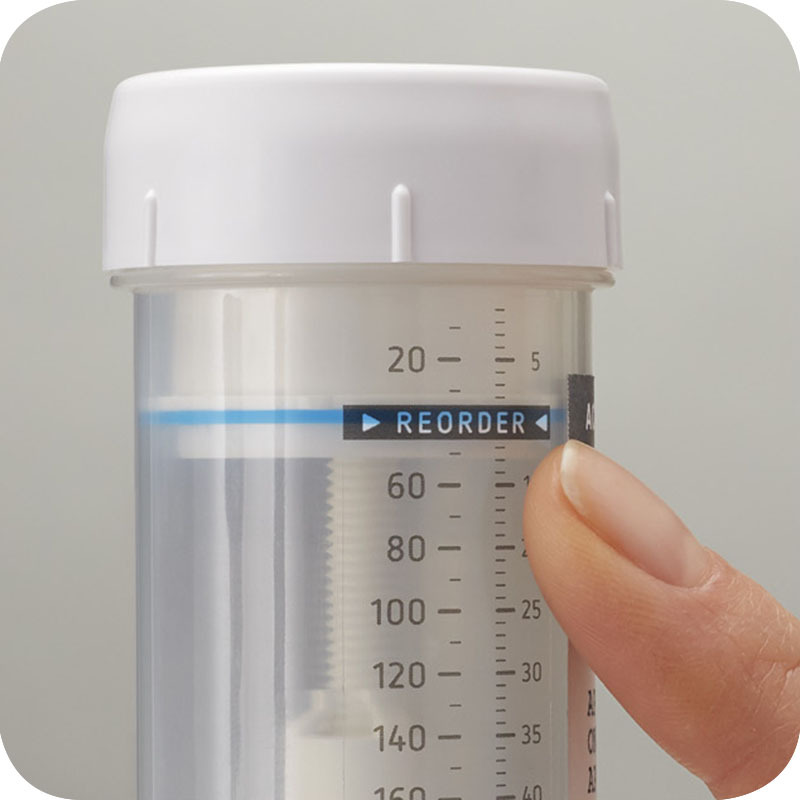 Refill your prescription as instructed by your pharmacy.